Many of our guests at Scott Young, DDS are surprised to find out the wide range of dental problems we can correct. If you are uncertain whether cosmetic dentistry can solve your dental problem, keep reading. You may be surprised at what you learn. Any dental problem can be treated with cosmetic dentistry techniques. Often the only difference between traditional general dentistry and cosmetic dentistry is the material used for the tooth repair. It is sometimes incorrectly viewed as being less practical than traditional dentistry, but in fact the materials used for cosmetic dentistry are as resilient as or more resilient than those used in general dentistry. Metal amalgam fillings and gold fillings contract and expand in varying temperatures. Something as simple as drinking cold water can cause the metal to expand minutely. Over a period of time, this weakens the structure of your tooth, and a metal filling can in fact cause your tooth to break. Porcelain, the material often used for fillings in cosmetic dentistry, is more stable and not prone to the expansion and contraction that metals undergo. Investing in a porcelain filling can in fact save your tooth from breaking later. Dentists who practice general dentistry often subscribe to the idea that cosmetic dentistry is only applicable to front teeth – those visible when you smile. However, your mouth does not reside in a static position, and when you talk or laugh, your back teeth become visible. Not all cosmetic dentists are created equal. Training and experience will determine whether the outcome of it is a beautiful and natural-looking smile or a lackluster result which is obviously a dental repair. Choose a Houston cosmetic dentist who has graduated from the Las Vegas Institute (LVI), the foremost cosmetic dentistry school in the country, and who has a passion for beautiful, natural-looking smiles. This will ensure that you get the high quality results you deserve. To learn more about the benefits of cosmetic dentistry, please call 832-610-3123 or contact our Houston cosmetic dentistry office today to schedule your initial consultation with LVI graduate Dr. Scott Young.  Scott Young, DDS serves The Woodlands, Kingwood, Houston, and the surrounding areas of Texas.